When you really think about it, that determined quest to be “one of the greats” in whatever field or craft is kind of disturbing, because you have to wonder how far that person going for it is willing to go to prove to be “great?” At what point is the line drawn? This can make for an unnerving story, because any artist is going to feel that kind of pressure and maybe even ponder about whether or not it’s worth it. 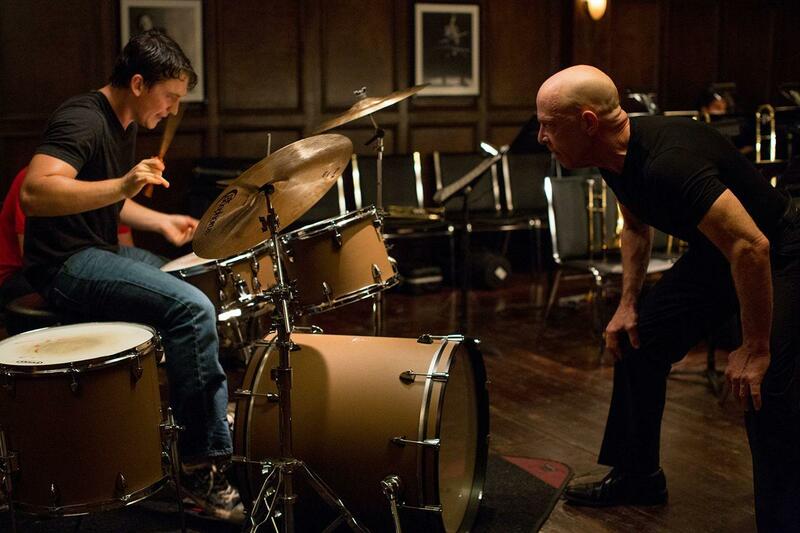 Damien Chazelle’s “Whiplash” decides to go for it. 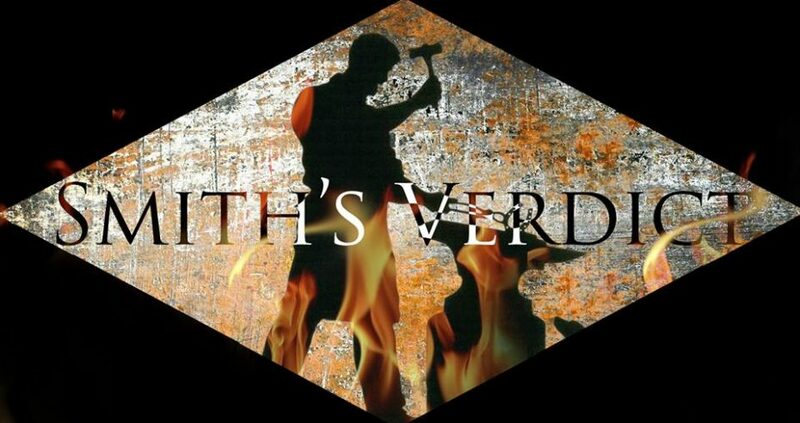 Here’s a film about the progress of a budding musician executed with the intensity and tightness of a thriller. This easily could’ve been a feel-good story about a mentor pushing his student to the limit and both learning a lesson in a happy ending. But no—this film has a major, upsetting twist on the mentor/student relationship that makes it horrific and yet captivating. They say with power comes fear, and that’s especially true with Terence Fletcher, played powerfully by the always-reliable character actor J.K. Simmons in probably the best performance of his long career. Fletcher is the orchestra instructor from hell. He runs his band with the intensity of a drill sergeant (hell, he’d probably even make R. Lee Ermey’s “Full Metal Jacket” character piss his pants! ), always pushing his students to their full potential so they satisfy not only him but also themselves. But his methods are beyond unorthodox, in that the best ways he can think of to get through to these people is with bullying and sociopathic behavior. The latest victim of Fletcher’s teachings is Andrew Neiman (Miles Teller, very good), the film’s protagonist. Andrew is a 19-year-old Manhattan music-school student who loves drumming and yearns to be one of the great jazz percussionists. One night, his drumming gets the attention of Mr. Fletcher who overhears him playing. First, Fletcher criticizes him, causing Andrew to first lose hope, and then strive to get better. He does earn a spot in Fletcher’s jazz band, where he learns from Fletcher’s teaching methods head-on. Due to a teacher’s tough approaches, the student is challenged to understand his full potential in order to achieve his goal of being “great.” Someone once said artistry can redeem any subject matter, and even with old cinematic resources such as this central premise, it’s what is done with the narrative that makes the film what it is. And “Whiplash” doesn’t use predictability or fabricated sentiment or even a true bond between the two characters outside of the practice room (save for one scene later on, but even that’s more a way of challenging wits). It doesn’t even end the way I expect it to; it ends on a note that can be read as either tragic, triumphant, or even both. The bottom line is, “Whiplash” is not an audience-pleaser; writer-director Damien Chazelle is more concerned with telling a cautionary tale and a complex story about obsession and impulse than giving viewers what they want from a story like this. Instead of cheering Andrew on as he becomes a better drummer, we feel pity for him as he beats himself up more and more trying to become “the best,” even when the blisters on his hands bust open and bleed as he practices or even performs live. What really keeps the film’s audience on edge throughout the film is that anything could set Fletcher off. He could seem like a nice, understanding person to talk to, but all of a sudden, he could turn on a dime and become a sadist who will chew you up and spit you out. You’re always left guessing what he’s thinking and also what it would take to cause him to act this way again. It’s when he acts nice that I get chills while watching this film. And then, at the end, when he reveals something to Andrew and it’s too late to turn back, I was so nervous for this kid that the film had my undivided attention for the remaining final act. J.K. Simmons deserves a Best Supporting Actor nomination come Oscar-time. His Fletcher portrayal is a powerhouse performance; one of the best I’ve seen all year. Any actor who can act in such an effective, unpredictable manner must be recognized. “Amazing” doesn’t begin to cut it when describing Simmons’ work here. He, along with Teller and Chazelle, helps make “Whiplash” a vibrant, riveting film that I won’t forget anytime soon. “Birdman” (subtitled “Or the Unexpected Virtue of Ignorance”) is one of the most ambitious, unique films to come out this year (or any year). It’s a film that shows the mental breakdown of a washed-up actor trying to redeem himself with a comeback through Broadway. It’s a darkly funny, nearly spot-on portrait of theater life that goes into the pains of what goes into a show (with some exaggerations, for laughs) and what it will mean to cast members, both newcomer & veteran, while also taking time out to not only go into the main character’s disturbing inner psyche but also to attack pop-culture sensibilities that continue to ask for everything similar to the modern blockbusters we get every summer (specifically “Transformers”). The result is a black comedy that’s both disturbing to watch and yet fun to watch. Michael Keaton stars as aging actor Riggan Thomson, who was once famous for playing the star of a superhero franchise called “Birdman” which was a big success. 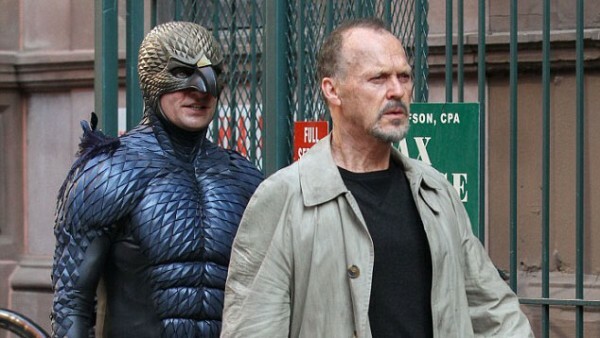 But after refusing to star in a fourth Birdman film, nothing was ever the same, as his life and career went downhill. His attempt at a comeback is to adapt a Raymond Carver short story into a Broadway play. Now in previews for an opening, Thomson writes, directs, and yes, acts in the play. After one of his actors is injured in an accident (which, by the way, results in a hilarious discussion between Thomson and his lawyer/manager/friend Brandon, played effectively against type by Zach Galifianakis), Mike Shiner (Edward Norton) is quickly called in to replace him. Shiner is an undeniably talented actor who brings dedication to his work, but he’s also known for upstaging his directors in a pompous, obnoxious manner. Also included in the play’s cast are Lesley (Naomi Watts), who is new to Broadway and sees this as her big stage debut, and Laura (Andrea Riseborough), Thomson’s lover who may or may not be pregnant. Thomson’s assistant is his daughter, Sam (Emma Stone), is recently out of rehab and tries to convince her father that the best way to make a comeback is by going viral. As Thomson tries to put everything together while his cast faces their own issues, his fear of failure and continuing a reputation as a “celebrity” rather than an “actor” starts to get to him. “Birdman” is an effectively disturbing character study, showing us an actor who peaked too soon and is obsessed with reliving the fame while also trying something new with his career. He even hears the growling, grumbling voice of Birdman (sounding very similar to Michael Keaton’s Batman voice) inside his head, telling him to, in a way, become Birdman again. This is a man who let his life choices haunt him later on because he can’t adapt to modern culture and/or he wishes there were a simpler (or better) time when he could make a real impression. Now, he’s so laughable or disrespected that a New York Times theater critic (Lindsay Duncan) pretty much tells Thomson right to his face that she’s going to write a scathing review about the play before she even sees it. This guy lets it practically consume his life. By the way, that scene where the critic harshly lets it all out to Thomson is a really weak point in the film. That’s because any critic who would slam a work before opening night would lose their job almost immediately! The cinematography for “Birdman” is unbelievably good. One of the most distinguished qualities of “Birdman” is that, with the exception of an epilogue, looks it was filmed in one long, continuous take. The camera hovers through corridors, goes up and down long flights of stars, even flies from place to place in the city, as Thomson fantasizes himself as Birdman. Emmanuel Lubezki, who shot most of Alfonso Cuaron’s work (and also won a cinematography Oscar for “Gravity”), shot this film, and he does a tremendous job at making the audience feel like they’re inhabiting the same world as the characters. I think only once did I notice the seams in editing, because I was constantly wondering how they managed to make it all seem like one long take. Not even in Alfred Hitchcock’s “Rope” or the 2012 horror film “Silent House” did I question how this style was done. “Birdman” was also directed by Alejandro Gonzalez Inarritu, whose previous films include “21 Grams” and “Babel,” and he’s known for making films in an unconventional way. Well, how’s that for unconventional? In a time with fast editing overpowers quality, it’s nice to see something of this style. Even when Thomson fantasizes about being the center of a “modern blockbuster,” with explosions, robots, and all sorts of loud mayhem in the city that mainstream audiences keep asking for (at least, according to the movie), it still manages to keep that style without visible cuts. That can’t have been easy to pull off. The acting? Excellent! This is Michael Keaton’s big comeback role, if you ask me. He’s perfectly cast and conveys a certain flair to his performance that can’t be copied. He hasn’t been this good in years. Edward Norton deserves Best Supporting Actor consideration for playing a role that pokes fun at Norton’s own reputation while making the character his own. He’s brilliant here; you just can’t take your eyes off him (which is why it’s a little disappointing that he disappears almost entirely from the film in the final act). Solid support includes Zach Galifianakis, Emma Stone, Naomi Watts, Andrea Riseborough, and also Amy Ryan as Thomson’s ex-wife who still cares for him. Overall, “Birdman” is a wonderfully-made, well-written, thought-provoking film with brilliant cinematography and acting. It’s a riveting change of pace for those who are tired of the usual stuff people like Michael Bay spews out every year, or hell, every season. 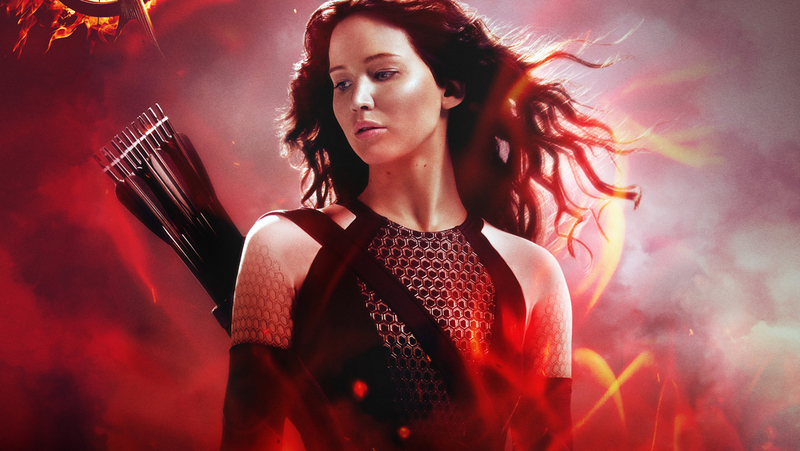 But more importantly, it’s one of the best films of the year. There are two expressions often carried around when someone compared to his/her parent(s), and each has an opposite meaning—“You are not your parents” and “You’ve become like your parents.” When parents make mistakes, kids tend to make an inner sacred pact that they won’t make similar mistakes. Some make it through, following that pact while escaping childhood trauma. Others aren’t so lucky, even as they try; haunting ghosts from the past tend to get in the way of rational thought, and they find themselves doing almost exactly what they swore they wouldn’t do. Writer-director Jess Carson’s 26-minute short film “Paradigm” shows an example of the latter possibility. It begins with happy newlyweds and ends with their marriage fallen apart, as they make unforgivable choices that can be traced back to hurtful events from one’s childhood. The husband, Derrick (Kyle Wigginton), came from a home of abuse, due to his alcoholic father, Maverick (Scott McEntire) who would abuse him and his mother, Anna (Casondra Witham). By the end of the film, Derrick will have inherited similar traits and behaviors, and his wife, Jocelyn (Mindy Van Kuren), will take it no more. The short mostly takes place inside Derrick and Jocelyn’s house, showing us how their marriage transitions into a disaster. And the film doesn’t shy away from some pretty tough material. By the end of the film, I was actually kind of depressed (and the Sheldon Kopp quote shown before the credits didn’t help much either). Flashbacks that show Derrick’s father’s behavior are effectively handled, as they intersect with situations in the present that mirror the present. There are times when Derrick practically repeats his father’s harsh words word for word to Jocelyn. It’s a clever move. “Paradigm” is more of an actor’s film, so a lot rides on the performances. Mindy Van Kuren does a great job playing a suffering woman who wonders when the line will be drawn in her relationship. Scott McEntire, who has acted in other shorts I’ve reviewed (such as “Stuck” and “A Matter of Honor”), turns in some of his best work as the father. But I am of two minds about Kyle Wigginton’s performance as Derrick. On the one hand, I see it as a poor acting job. His shouting moments seem a little off to me; he sounds like he’s forcing the anger. But on the other hand, Derrick is supposed to come across as pathetic, so maybe it was Wigginton’s choice to play it like this. I’ve seen him do well in other shorts, like “Blood Brothers,” so I wouldn’t doubt it. I like “Paradigm,” but I think it could’ve been better with tighter editing. Some scenes seem a little long and even make the film somewhat repetitive. But I guess that was the point—to show the slow proceedings of this relationship in a way that we can get why/how it came to this, and to also show as it gets worse. In that respect, I shouldn’t complain too much about it. “Paradigm” is an effective short that worked for me.